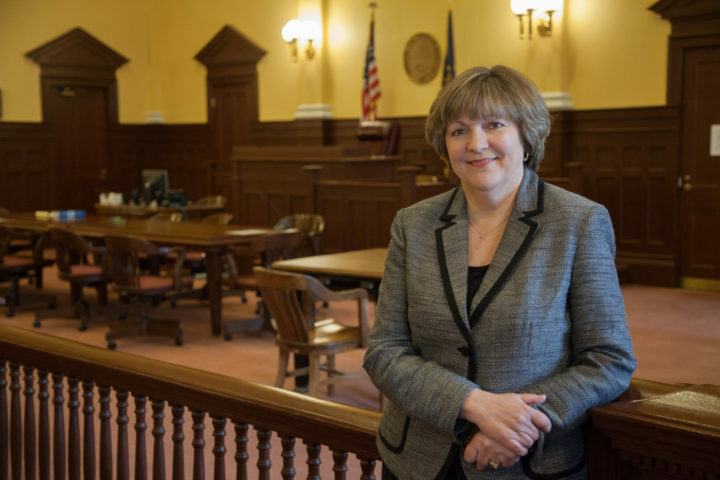 For more than 20 years, Jeanette C. Kassebaum, Attorney, has been providing high-quality, cost-effective legal services in her hometown of Fishers, Indiana. Her office, conveniently located in the Fishers downtown district, offers a private, comfortable setting for clients to get straightforward legal advice and knowledgeable representation. Jeanette lives and works in Fishers and has displayed a real commitment to the community and its residents. Jeanette C. Kassebaum brings an extensive background in litigation to her law practice, which allows her to provide a well-rounded, thorough analysis of legal problems. Her proactive approach helps clients avoid future conflicts and anticipate challenges that could arise in court. Today, Jeanette’s practice is focused on legal services including estate planning, probate and estate administration, wills and trusts, small business, real estate and municipal law. A graduate of Hamilton Southeastern High School, Jeanette served as a law clerk for the Hamilton County, Indiana courts and has been actively involved in the local business community. With deep roots in the Fishers area, Jeanette C. Kassebaum, Attorney, is committed to providing services that exceed her clients’ expectations. She gets to know the people she represents, building long-lasting relationships that enable her to serve individuals and families whenever they have legal needs. Striving to be accessible, Jeanette is available for face-to-face meetings and promptly returns calls and emails so that clients are able to get the updates and answers they need. She offers practical, effective advice that is personally tailored to help her clients meet their goals. Jeanette’s knowledge and experience allows her to guide those that she represents through the legal process, helping them feel confident in their decisions and resolutions.